Gaining considerable profit from trading in financial markets needs profound knowledge as well as considerable amount of free time to watch market trends. Few traders can spend enough time to monitor favourite markets to open suitable Forex Trading orders, hence sound and flawless Forex Trading signals are needed to support even amateur traders to achieve lucrative trades. These signals must be simple-to-use, impeccable and timely to boost traders’ profit. Nowadays, there are numerous automated or manual Forex Trading signals with different methods that can be exploited by traders, however, only few of them are valid and reliable. The quality of a Forex Trading signal can be determined by considering competency rate of signal generator. 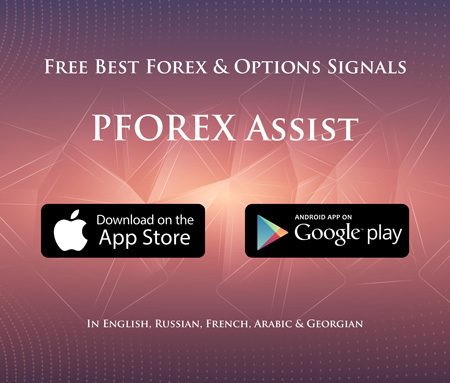 PForex Trading Signals are generated on all available major financial market instruments in all time frames with real-time notifications and without any lag and interruption. Traders, with any trading preferences and methods, can exploit trading signals provided by PForex assistance along with their favored techniques to detect Entry and Close spots more precisely. For instance, traders who have problems in detecting accurate Close prices for their trades can utilize PForex provided trading signals to find valid TP and SL prices. Traders who detect Entry and Close prices by any trading methods can utilize PForex provided trading signals as confirmation for more reliable and sound trades.